Mel's Plumbing and Heating offers a wide range of services for your plumbing and heating needs. We have been servicing the Roaring Fork Valley for over 20 years. We do new construction, remodels as well as service. We offer quality plumbing at a fair price. Whether your issue is simple or complex, our Glenwood Springs, CO, plumber will see to it that repair jobs are completed in a timely manner. 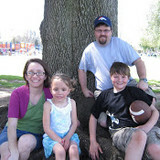 Young Services LLC is locally owned and operated. We are known for offering personalized service and have punctual staff members who are also available for emergency repairs 24 hours a day, seven days a week. Look no further than us for your plumbing installation and repair needs. 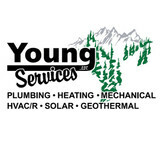 We offer: General plumbing Water heater installation Heating system repair Geothermal heating system installation and repair Emergency heating system service Air conditioning installation and repair General HVAC service Toilet repair Young Services LLC is fully insured, licensed, and bonded, and we're one of the largest locally owned companies in the valley. We can have a Glenwood Springs, CO, plumber ready to assist you Monday through Friday, 7:30am – 4:30pm. Cash, American Express, Discover, MasterCard, and Visa are all accepted for payment. Speak with one of our representatives to learn more about our high-quality plumbing services. 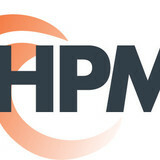 HPM Services is a locally owned and operated heating, plumbing, and mechanical business that has been servicing Summit County since 2003. We specialize in service calls, renovations, and new builds. Keenan's Plumbing & Heating, Inc.
Keenan's Plumbing & Heating, Inc. Is a full-service business offering new construction and emergency service for plumbing, heating and air conditioning systems. When a home improvement job involves installing or repairing water, gas or other pipes, it’s smart to hire a licensed plumber in Crested Butte, CO. Their expertise can help prevent costly water damage to a home’s structural elements, and provide peace of mind that the job is done correctly. Building a new home or remodeling an existing one always calls for the skills of a certified plumbing company as well, so don’t hesitate to contact one for any project, big or small. Read further for more tips on hiring to best local plumbers in Crested Butte, CO.
A plumbing contractor handles the installation and repair of water, sewage and natural gas pipes throughout a home, as well as interior and exterior faucets and fixtures. Plumbing contractors are also trained to work with water mains, septic tanks, laundry appliances, water heaters, sump pumps and other plumbing and pipe systems. Because plumbing repair work is done largely behind walls and beneath floors, some plumbing companies can also patch or replace tile, stonework and other surfaces. Although some Crested Butte plumbers are generalists, others specialize in specific areas; a 24 hour emergency plumber will handle urgent residential repairs, while others may be more skilled in remodeling, natural gas lines, overhead sprinkler systems and more. Find a local Crested Butte plumber on Houzz. Narrow your search in the Professionals section of the website to plumbing contractors in Crested Butte, CO. You may also look through photos of Crested Butte, CO projects to find a licensed plumber who has worked on a project similar to yours. Here are some related professionals and vendors to complement the work of plumbers: General Contractors, Septic Tanks & Systems, Kitchen & Bath Designers, Kitchen & Bath Remodelers.